How is everyone doing today! So I recently purchased some of the Sue Wilson Festive Dies from Dies R us and I immediately wanted to play with them. I decided to NOT do a Christmas project. Most people see the "Festive Collection" and think I don't just want to buy a die for Christmas. 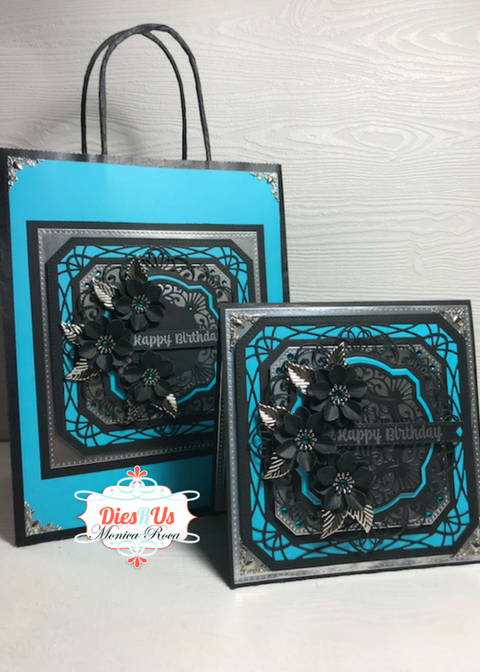 For todays card I went with a birthday card and gift bag since I always need them and used the Sue Wilson Eve Frame from the festive collection to show that Sue Wilson dies are so versatile and can be used all year long. 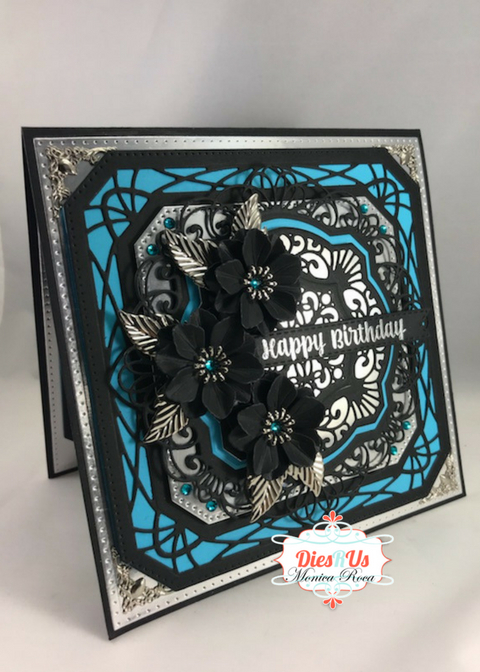 Now while my cards always tend to be on the busy side you can definitely incorporate the dies in a much simpler design. The possibilities are endless. As always I have created a youtube video to go over all the the products that I used as well as go over the details of the card. Here is my YouTube video where I go over all of the details of my project! Just BEAUTIFUL Monica! What a fabulous idea! Thanks again for wonderful inspiration! What a gorgeous gift set!